With the catering unit established in Bexhill Gunne Butchers, now in its fifth generation, has grown into one of the south east’s finest suppliers of quality meat, poultry and game. 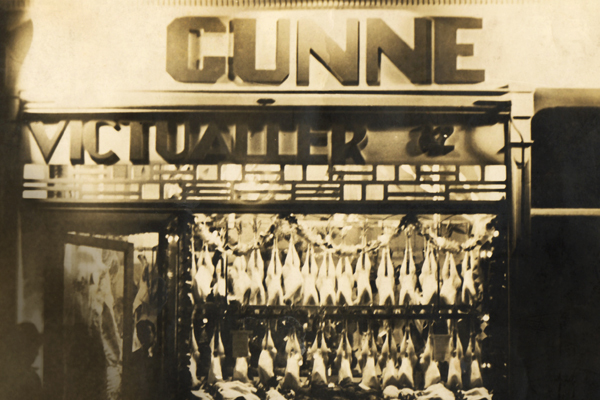 Gunne Butchers is now a thriving business operating from modern temperature controlled premises designed to meet the most exacting health and hygiene standards. Whilst much has changed within the company we still pride ourselves on providing the same quality product and personal service since its concept in 1928. Gunne Butchers supply a wide range of establishments including hotels, restaurants and golf clubs across the south east and throughout London. As a well established family based business we offer a service second to none, which is personal, professional and prompt, with our butchers available to receive and prepare orders to individual specification round the clock, working across three shifts 24 hours a day, ensuring we are open for business when you need us. Our fleet of refrigerated delivery vans are on the road from Monday to Saturday delivering direct to the customer and our company representatives are available to offer help and advice on all our products or to arrange a meeting to discuss your specific requirements and expectations. At Gunne Butchers we truly understand the butchery needs of the professional kitchen and with a team of highly experienced butchers with customer relations back up, we deliver only the best quality product at the highest standard of customer service.